And it is good news for the players who want to make a smaller deposit. However, it is bad news for the players, who liked receiving no deposit bonus, because that is no longer available for new players. Let´s look at the bright side first. From now on, all the new players who make their first deposit, get a 150% up to £100 bonus. If you like to make smaller deposits, this is the bonus for your liking. The bad news is, that the new wagering requirement for the deposit bonus is 40x B, when it used to be just 30x B. Even though the new requirement is not too bad either, it is never good news to see a change like this. Then the usual story what we see in the UK. 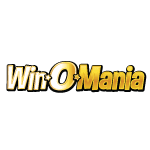 Like many others WinOMania has also stopped giving the no deposit bonus, which was £5 to play on their site. We can just guess the reasons but usually it has something to do with abuse. Anyways, when we heard about the news of a new bonus, we thought it would be worse than this, so definitely, no hard feelings. We will miss the lower WR though!